I was lucky enough to snag this particular box kit in one of the UK Facebook planner swaps/sales groups for £40 inc postage and I haven't seen it anywhere else on our lil island but you can pick up the other undated Happy Planner Box Kit from Hey Little Magpie for £34.99. The Happy Planner is a disc or arc bound planner which I think you either love or hate, I personally love it and although not the most secure method of binding for travelling around it does make your planner customisable and is perfect for use at home or at your desk. It could also give you an excuse to buy a cute wrap cover, band or bag. I especially appreciate the heart shape cut out and translucent blue colour on these discs. 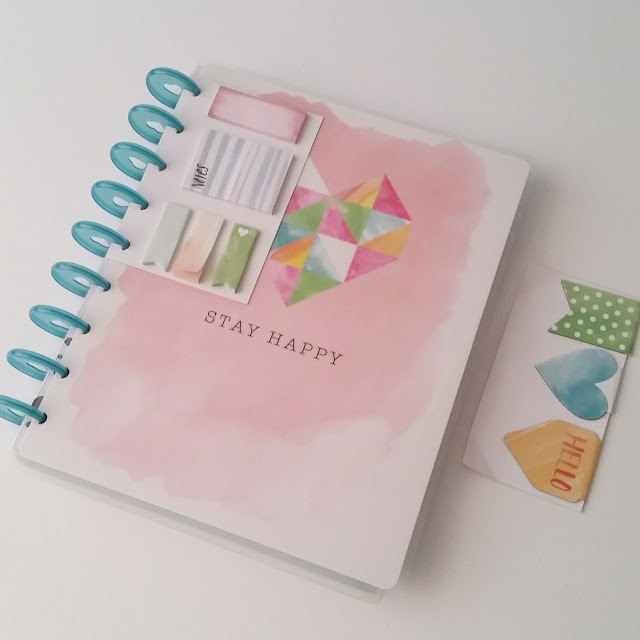 The cover is a super strong laminate with that gorgeous watercolour and geometric heart design, it comes with some pretty sticky notes and magnetic page markers which I LOVE, they're the best kind! 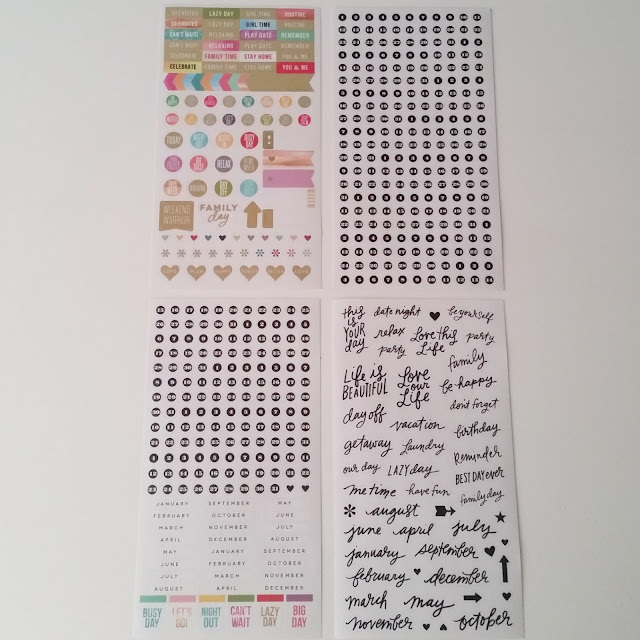 There are also four sheets of stickers in the kit - some watercolour, some gold foil and some of the black/clear kind; they include the numbers and months needed to label your divider tabs and monthly views as this is an undated planner meaning you can start it any day at any time of year! 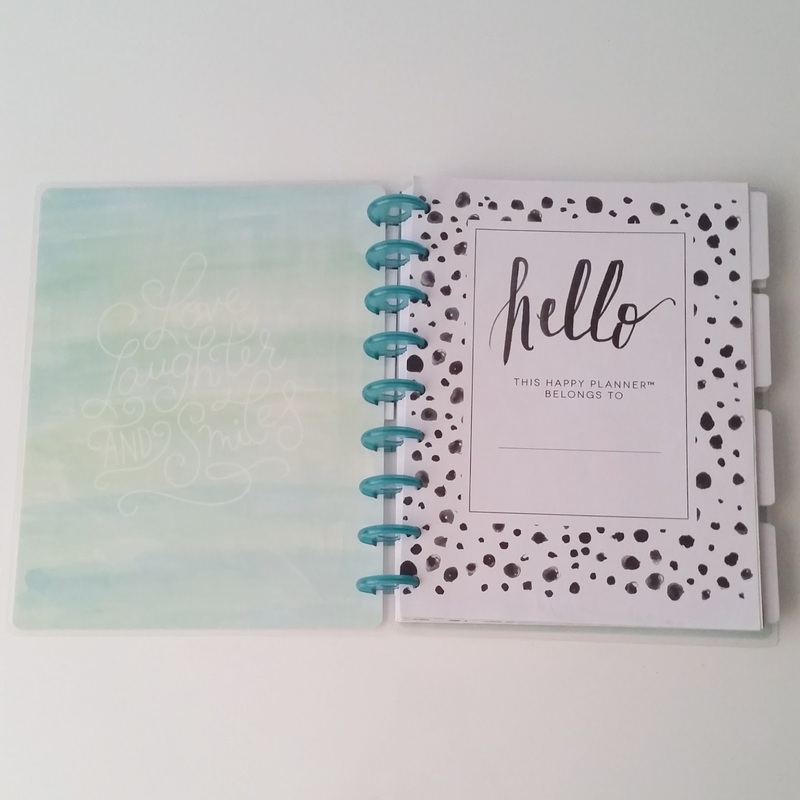 Inside the cover is a lovely blue/green watercolour with the quote "Love, Laughter and Smiles" and the first page is that monochrome spotty dotty border with a section to of course add your name. Above and below are examples of the monthly dividers and the title page that accompanies them. 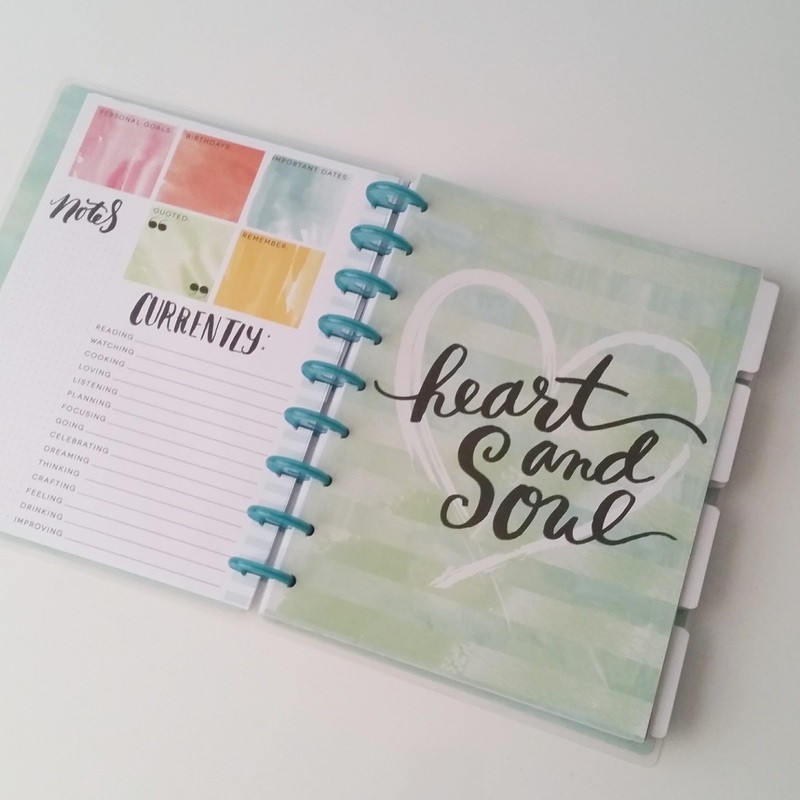 Each divider has the continued watercolour/quote theme as does the title page which gives room to note: Personal Goals, Birthdays, Important Dates, Quoted and Remember in the coloured squares. You then have a grid notes section and the 'currently' part in which you list all the little things currently going on in your world. Now we're at the really useful bits. 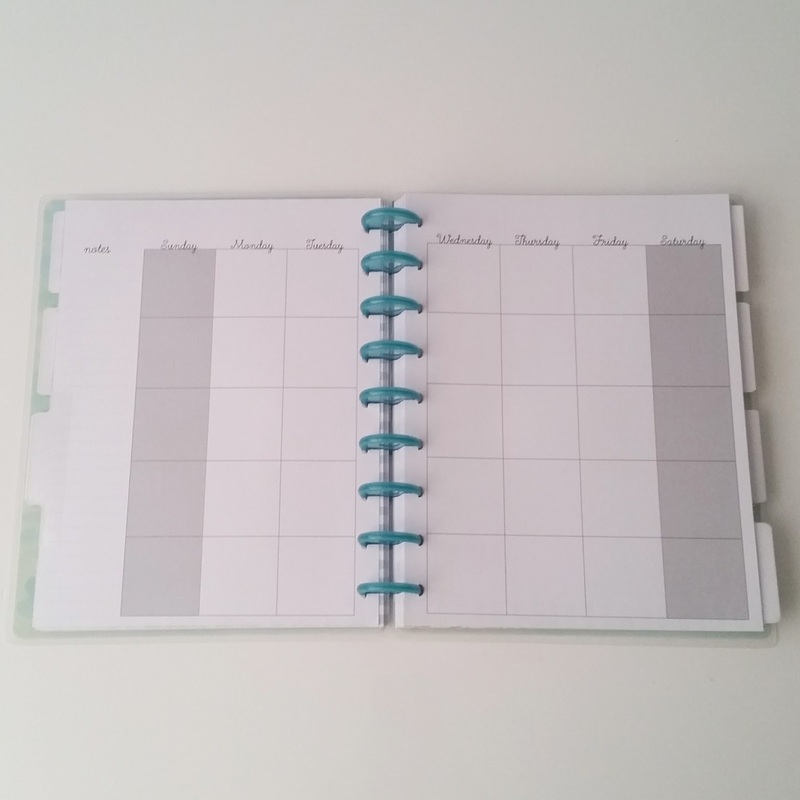 This monthly view is a different pastel colour each month, runs Sunday to Saturday and has a lined notes list down the left side. The boxes are a nice big size so you have plenty of room to note, doodle, sticker or stamp. 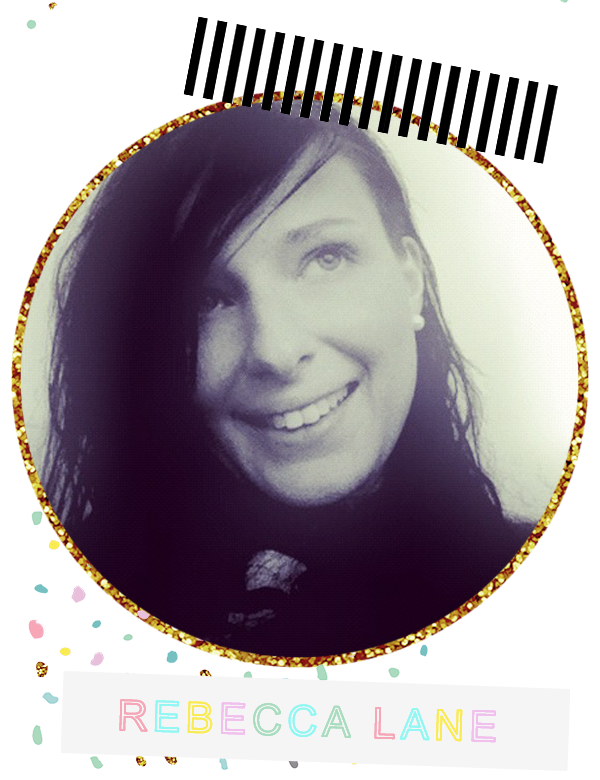 The top border space is just asking to be washi'd no?! 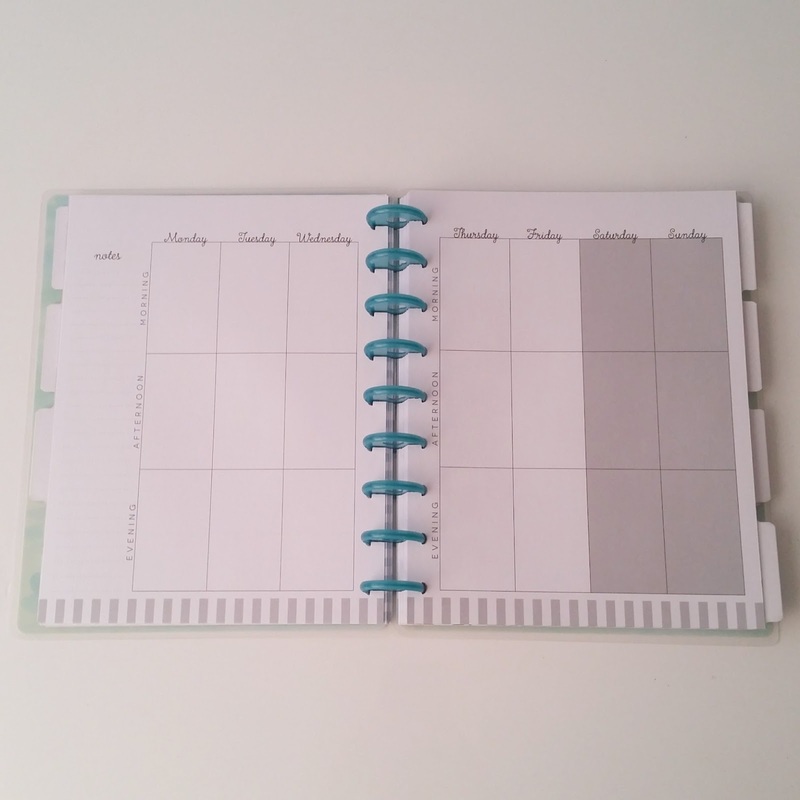 The weekly views run from Monday to Sunday which is perfect for weekend decorations with the weekends again being highlighted with whatever that month's colour is. 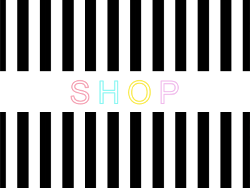 The stripes along the bottom will also match. 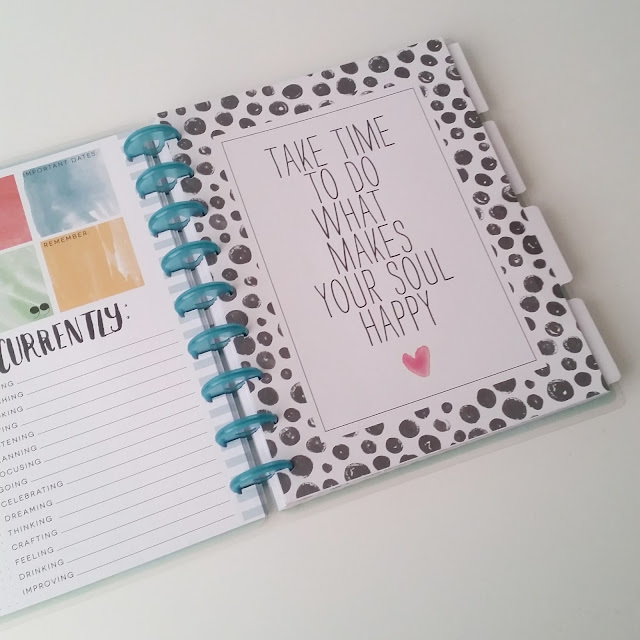 The Happy Planner has a vertical 'Erin Condren-like' layout with nice large boxes being even bigger than before due to the Morning, Afternoon & Evening lables being moved to the left sides. 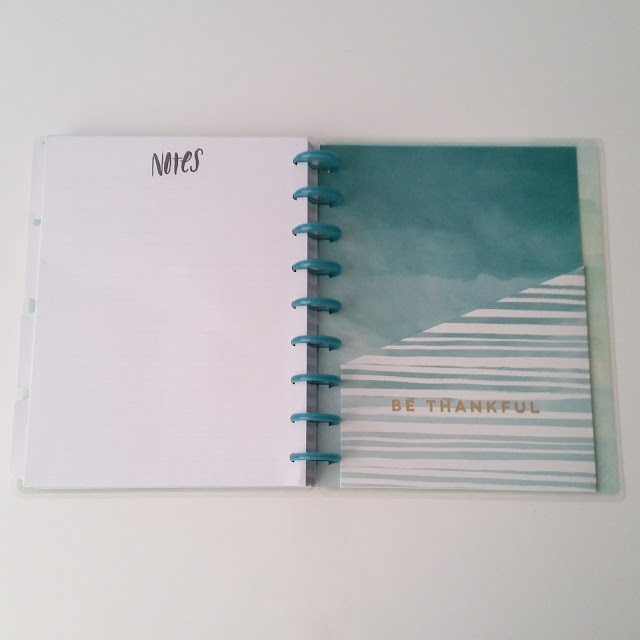 At the very back you will find this notes page and a double-sided pocket folder, again with the watercolour theme and embellished with "Be Thankful" in gold foil. The back cover brings us back to the pretty pink watercolour and the sentiment "to be continued" which just gives me all the planner feels for some reason. 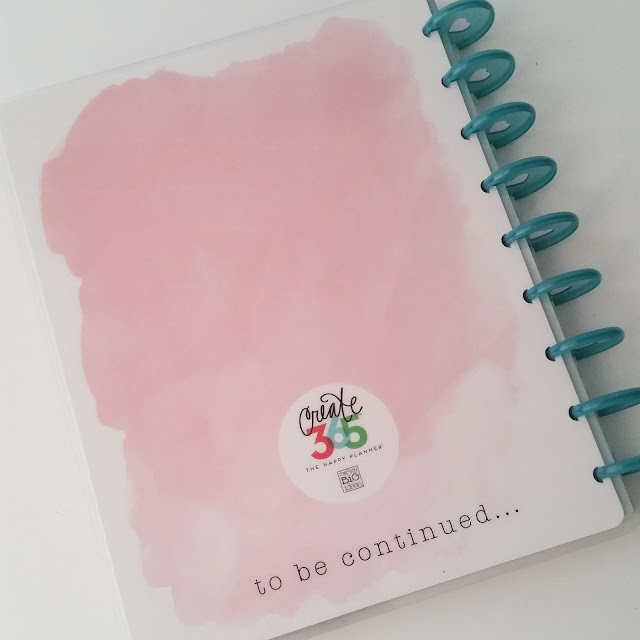 On that note, this is to be continued and in the meantime why don't you check out all the extra goodies you can buy for the Happy Planner? The list is almost endless and very soon I'll be back to show you some of them!